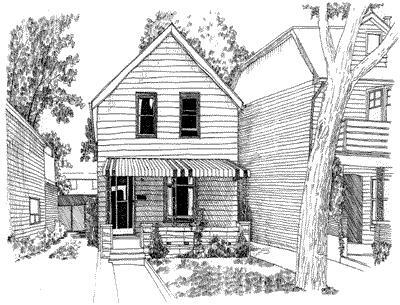 Leslieville - Royal LePage Real Estate Services Ltd.
Leslieville began as a small village back in the 1850's. The village grew up around the Toronto Nurseries owned by George Leslie and sons, after whom this neighbourhood is named. Most of Leslieville's residents were either market gardeners or were employed at one of several brick making companies that used to operate in the area. One of the first buildings in the village was the Leslieville Public School, built in 1863. Leslieville's first principal was Alexander Muir who composed "The Maple Leaf Forever". Muir's poetic verse was inspired when a brilliant autumn maple leaf fell from a Leslieville tree onto his jacket. That maple tree is still standing today and has become Leslieville's most famous landmark. It is designated by an historic plaque at the intersection of Laing Street and Memory Lane.